You might have seen this previous story I posted, in case you were following me on Instagram. CONSUMMATUM EST. It is finished. God hath given, God hath taken away. Of all the slumps I have ever encountered in my five years of blogging, none has ever brought me to the point of quitting—until this. If you read my previous post last October (and if you’ve been following me on Instagram), I just came from a relationship of four years. It does not look too obvious when you see me in person, but my emotions aren’t exactly in place right now. This has been the final straw. 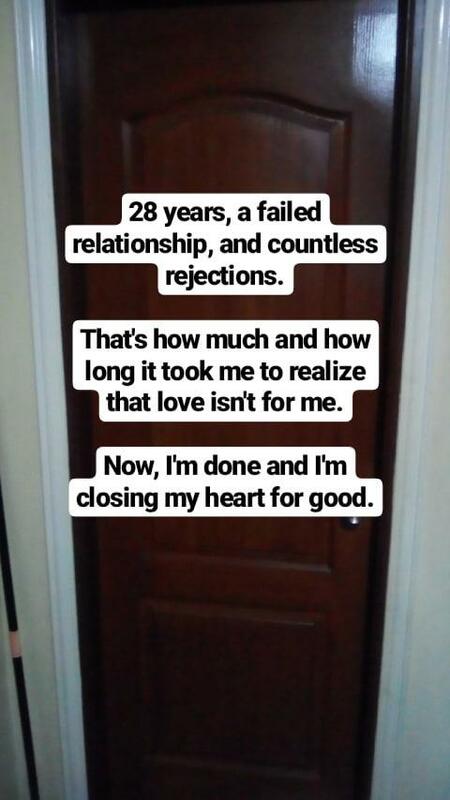 28 years, a relationship that never worked out, and countless failures later—the trial period is over. If love is never for me, it will never be. I don’t know if I can, will, or should even be loving again after this. Heck, I have no idea if I will ever get back, but only one thing is certain: things will never be the same. How do I cope, you may ask? I just say a prayer of thanksgiving, for the chance to experience love in all its beauty and bliss even for a short time. Some people wait an entire lifetime for love, but only a few are fortunate to encounter it. Others never have it at all! Thus, I am forever grateful for the chance to love and be loved in return. In addition, I stopped spending too much time on Instagram. 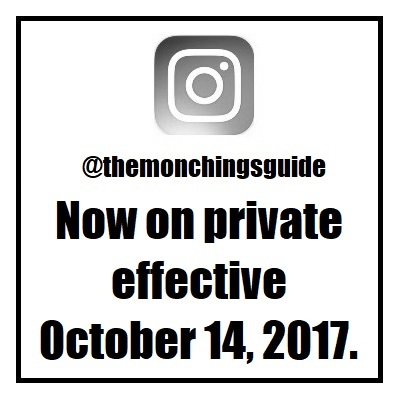 I used to allocate a chunk of time on the platform to promote The Monching’s Guide and interact with other bloggers. Now, I log out after checking for any notifications, comments, or messages. Why? It makes me sad seeing posts of weddings there – which is something that will never happen to me in this life. So what’s next for the blog? As you might have noticed, I have been putting off publishing and drafting new entries for a while. Blame the increasing workload in my day job, which prevents me from working on new entries. However, I have a lot of pictures from previous food outings that are waiting for accompanying drafts. To make things short: I’m done loving after a bad breakup. 2018 has been a long year, but everything good that has happened in the past 12 months was overshadowed by this major loss. Here’s a spread of our Christmas Eve dinner, to put a little bit of brightness. Moving on, don’t let this old man’s negativity and ranting ruin your holiday cheer. I may no longer have a chance to love again, but you do. Belated Merry Christmas, a prosperous New Year up ahead, and may you find your respective forevers. Maybe next year, you should get to know yourself and love yourself more. There are different kinds of love in this world. I don’t know at this point in time, honestly. Maybe this is God’s way of telling me to go home, albeit in a tragic and unexpected manner? Refreshing to see your Christmas spread. A spread people can realistically finish. I’ve been seeing an exorbitant amount of food everywhere. Anyway, I hope 2019 will be good to you. On the food, tell you what – we weren’t able to finish everything during that Noche Buena feast! 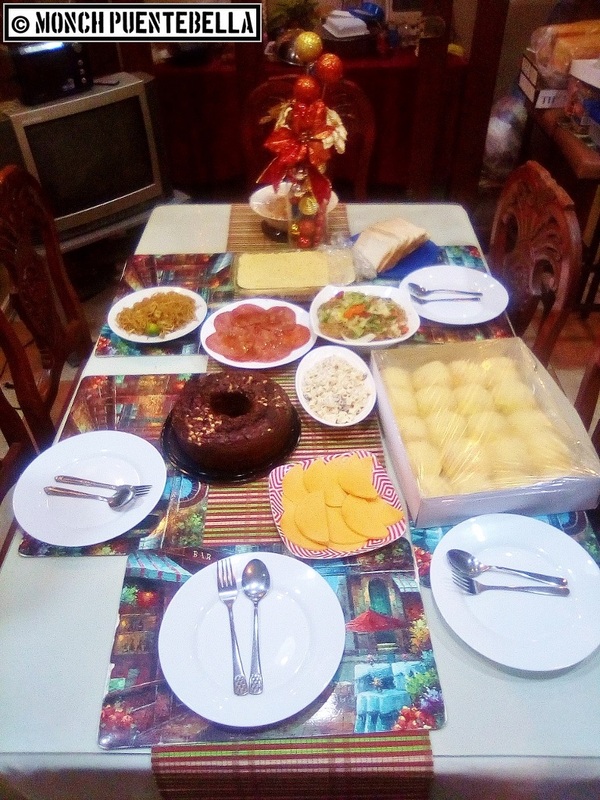 Konti pa sa lagay na iyan, and we’re still eating the food from that spread. Just as you gave me comforting words when I wrote about a love lost, let me tell you something—you’ll heal. You’ll find your identity outside a relationship. It will take time and it will be painful, but you’ll heal. Thank you! Wishing you Happy Holidays likewise, Courtney! I can feel you, Monch. Came from an 8-year relationship. It was really hard, but time heals. Hope you’ll be better this 2019. 8 years? 8 years?! Putsa pare, ang sakit talaga niyan! Sa altar na sana kayo, kaso napurnada pa! Di bale, wishing you the same. Hoping that you find your forever. It’s difficult for us late 20s / mid-30s men na makahanap ng partner after a break-up, with most women preferring younger studs. I agree with your friends. You will heal and it might take some time but you’ll have more time to get to know yourself better. Magagawa mo na ang di mo nagagawa dati for some reason. Nakaya monnaman mag survive x years before you met her. So, you’ll get the hang of it. On a positive note, mas makakatipid ka na ngayon. Hehe.. if not, then at least you can spend more time with yiur loved ones. Find a new hobby and discover other things you can do. God bless! Point taken, I guess. Heck, I’ve been taking care of my folks for so long – nagsasawa na nga sila sa pagmumukha ko haha! Love yourself ❤❤❤ everything beautiful takes time.. I may not feel the loss you felt but I share the same sentiments but coming from an almost relationship where in the end of the day, I’m not the girl he truly pursued (in my defense, I wasn’t aware that there’s another girl). Anyway, self-love is something we owe to ourselves. I’m sorry to hear of this. 😦 It’s hard that he made you wait instead of truthfully saying that he wasn’t interested in you. Thank you, and Happy Holidays likewise! What I’ve learned from a bad heartbreak (after 10 long years) is that when one leaves a better one comes. It’s not necessarily another person, but it’s your renewed love for yourself and for the Higher Being. I wish you well. Salamat! I’m also hoping that 2019 turns out better. Believe that it will, and it will. Same feels, btw. Haha. Just came from a 6-year relationship, too. God bless you!